Our ear is much more than we believe. We can hear sounds and frequencies but we are also able to perceive and feel the world around us. But the power of the sound is stronger: the sound acts over our body has an effect on our posture and on each cell of our body. And by this means, it can help us to release our body of all the accumulated tensions, included our emotional tensions. Among all the frequencies, scientists demonstrated that some of them are more powerful. Au cœur de l’écoute -led by Sophie Chabert- is a workshop about listening and feeling the body. It takes the form of 2 or 3 hours of experimentation of the vibrations and their impact on the body. We pay attention to the sounds, so to all around us. Designed in the frame of 2018 Medinea Outreach Programme, its aim was to improve the quality of communication between people and especially with people suffering from illness, to learn how to recreate themselves. Indeed, this project took place 3 times with different people: the first one was with women suffering from cancer and the 2 others were with students of the international school of Geneva. 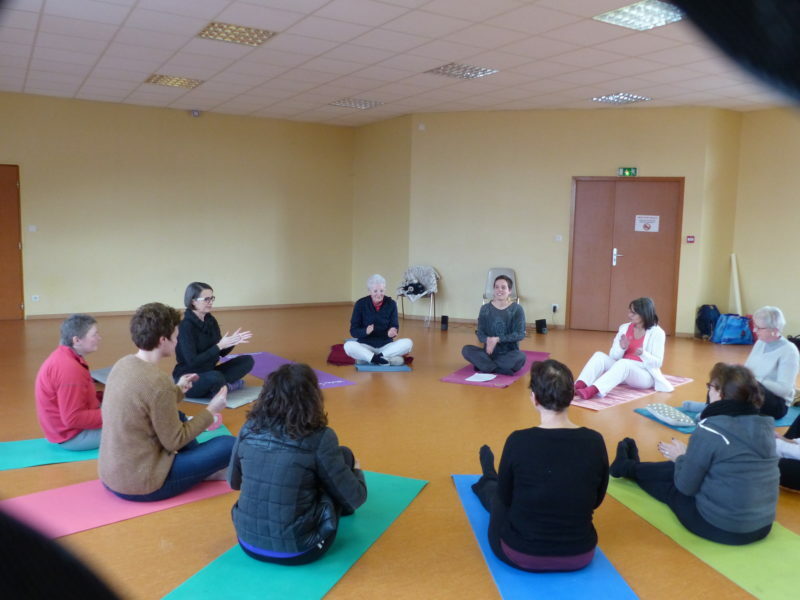 The workshop started with meditation in order to bring attention to each part of the body. I needed to recreate the confidence of these women with their body. They guided their breathing according to my knowledge as a breathing coordination professional (breathing coordination MDH). Then we worked on space, and the expression of emotions with the body, and we added the look. They had to look in the eyes with a smile every person that they meet. To learn to accept to be touched, we used the mirror exercise and when they have been able to feel their body and the others, we started to work on sounds. 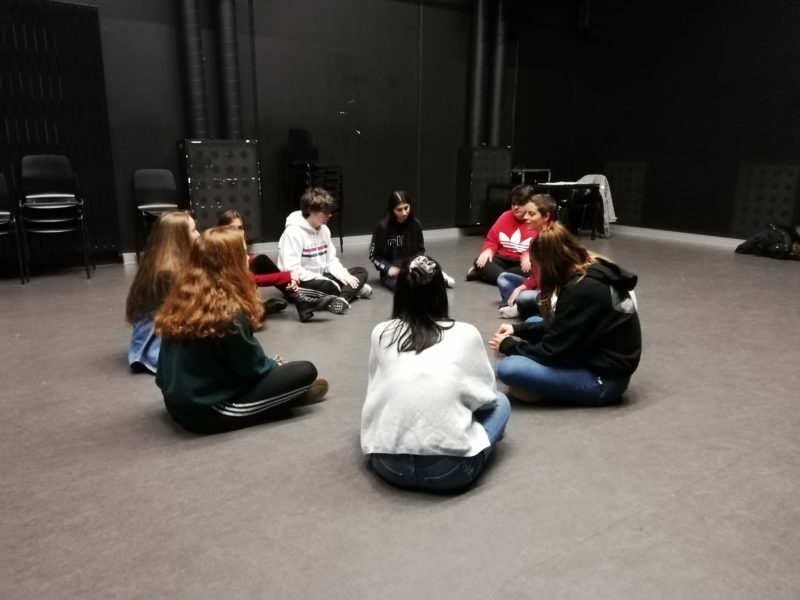 I wanted them to feel the sound in their body, and to learn that everybody has a place in a group but that to create a group, we need to develop our listening skills. No one has to dominate, we need to create a « group sound ». We worked on this with vibrations and experimentation, creativity and improvisation. 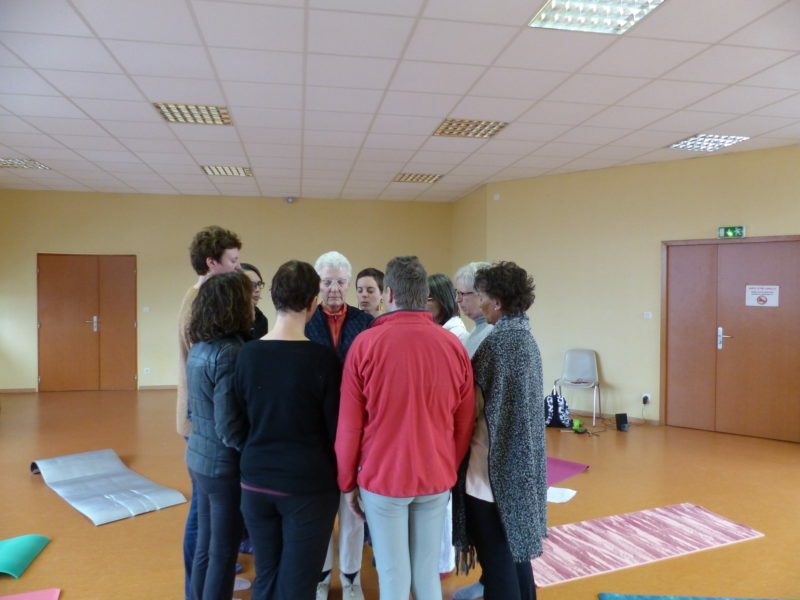 And finally we were able to compose different kinds of music, listening to each other and each participant came to the center of the circle, feeling the vibrations of the others, while they were singing. With the students, I guided the work a little bit different because I had to work on 2 questions: what is beauty? Can a world without conflict exist? I used the sound and the musical intervals to guide these reflections, and also the Gregorian chant. We worked on clusters and unisons, and also history. Finally, the women want to continue this work as a choir and I am preparing another workshop for the Internation School of Geneva.